98 prominent members of the LA Jewish community, most with ties to Hollywood, release open letter supporting the nuclear agreement. 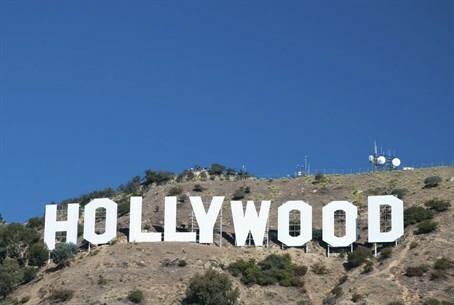 A group of 98 prominent members of the Los Angeles Jewish community, most with ties to Hollywood, have signed an open letter supporting the proposed nuclear agreement between Iran and six world powers led by the United States, according to the Hollywood Reporter. Identifying themselves as "American Jewish supporters of Israel" in the full-page ad, which appeared in the Thursday edition of LA's Jewish Journal, the group urges Congress to approve the agreement because, they claim, it "is in the best interest of the United States and Israel." "We appreciate that many have reasonable concerns about the risks of a complex nuclear weapons development agreement with an untrustworthy adversary like Iran," the letter states, quoted the Hollywood Reporter. "We too hold these concerns, but the deal that was reached is not founded on trust; it is grounded in rigorous inspections and monitoring." The letter warns that killing the deal, as many Republican lawmakers have pledged to do - and even one Democrat, New York Senator Chuck Schumer - would be a "tragic mistake." Other signatories include Mad Men creator Matthew Weiner; film producers Lawrence Bender and Mike Medavoy; UTA agent Peter Benedek; WME agent Rick Rosen; Game of Thrones executive producer Carolyn Strauss; Matthew Velkes, COO of Village Roadshow; and TV director Daniel Attias, the website reported. "I just felt that some of the mainstream Jewish organizations weren't speaking on behalf of a large segment of the community that has a different point of view," Velkes told The Hollywood Reporter, adding that LA's Jewish population is "as diverse a community as one might imagine." Congress has until September 17 to vote on a resolution of disapproval on the deal. President Barack Obama, for his part, has threatened to veto any legislation passed by Congress blocking the deal. The deal has already received support in the form of several open letters, the last one coming this past week from three dozen retired generals and admirals. The letter from the retired military officers followed the release this past weekend of a letter to Obama by 29 of the nation’s leading scientists, who called the Iran deal “technically sound, stringent and innovative”.